For Canadians living on low-incomes though, tax time is an important opportunity to tap into a wide array of federal and provincial tax benefits that can give a real boost to their incomes. Tax filing can also help them qualify for other income-tested benefits delivered outside of the tax system. Many low-income people are missing out on these benefits, though, because they don’t tax file. Others do tax file, but aren’t able to take advantage of the different benefits available to them. Some of these, such as the Canada Child Tax Benefit and Child Benefit Supplement, Old Age Security, the Working Income Tax Benefit and GST/HST Benefit can cumulatively add up to thousands of dollars of additional income for families struggling to make ends meet. The Guaranteed Income Supplement (GIS) is a good example of a major benefit program that uses tax filing to determine eligibility, but is not reaching all of its intended beneficiaries. The GIS provides a monthly non-taxable benefit of up to $764 to Old Age Security recipients who have a low income and live in Canada. Canada’s GIS take-up rate is 87%. This is exemplary by international standards and means about 1.6 million seniors receive the benefit. However, an estimated 201,100 to 218,300 potentially eligible seniors still miss out on this much needed income. An estimated 49,100 to 61,900 of these are non-tax filers (HRSDC, Evaluation of the Guaranteed Income Supplement Take-up Measures and Outreach – Final Report, 2010). Some people see no reason to file, even though they stand to benefit a great deal if they do. Many people with low-incomes see no reason to file because they don’t owe income tax. Some people are worried that tax filing may make it easier for debt collectors to find them. Others are not aware of benefit programs or that they may be eligible to receive funds. 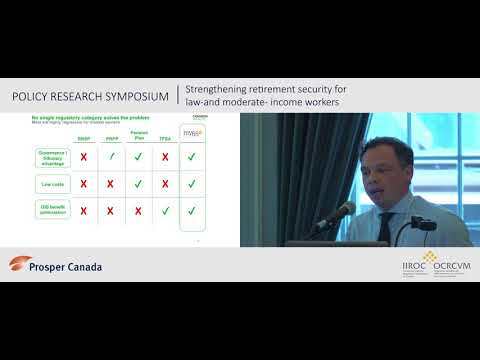 Some encounter language, literacy, numeracy and computer literacy challenges when it comes to filing their income tax returns. People have difficulty assembling the necessary documentation to qualify for benefits. CRA no longer mails income tax forms to people or provides its Telefile service, making tax filing harder for some seniors, people with disabilities, and people living in rural areas. People on low-incomes can’t afford paid advisors and may not know where to turn for help – if it’s available in their community. As governments increasingly turn to the tax system to deliver important income benefits, innovative approaches to helping people with low-incomes to tax file are making a huge difference in communities – unlocking latent resources and putting them in the hands of those who need them most. Community tax clinics are one of the most effective ways to do this. These mobilize and train volunteers to help people with low-incomes boost their incomes through tax filing. Increasingly, community, government and private sector organizations that actively support tax filing are developing innovative approaches to expand their reach and impact. Some are teaching interested clients how to file their own taxes and those of family members, or developing ways to deal with more complex cases (e.g. self-employed, people with multiple years of back taxes). Others are experimenting with mobile clinics and telephone support to help those with mobility challenges who can’t get to a clinic. Still others are delivering broader financial advocacy and supports, in addition to tax filing. Innovative programs like these and the examples below are making a critical difference but many people on low-incomes still struggle to find help when they need it – online or in their community. Prosper Canada is working with partners in all sectors to explore innovative approaches that will enable more people to get the tax filing help they need and more communities to benefit from the resulting flow of new resources and capability. Successful scaling requires not just innovation, but ensuring communities and organizations have the tools, resources, and know-how they need to deliver sustainable programs that meet the needs of their diverse residents and clients. Community Volunteer Income Tax Program: This Canada Revenue Agency program provides training and supports for community-based organizations and their volunteers that offer free tax filing services for people with low incomes and provides information on where to find free tax clinics across Canada. Financial Advocacy and Problem Solving (FAPS) Program: West Neighbourhood House offers free financial help with tax filing, debt, saving, budgeting, opening bank accounts, consumer protection, and navigating government programs. In 2013-14, FAPS helped 6,328 people access over $13 million. Chartered professional Accountants (CPA) Ontario: CPA (Ontario) mobilizes, trains, and supports thousands of accountants annually to provide volunteer tax preparation services in their communities. In 2014, over 2,300 CPA volunteers prepared more than 24,000 tax returns. Get Your Piece of The Money Pie: Led by the New Brunswick government, this initiative helps connect residents to benefits and credits they may be missing and encourages them to tax file. With the help of partners, it has resulted in an increase of: 36% in tax filing by low-income residents, 113% in the number of tax clinics, and 60% in the number of clinic volunteers. Benefits Navigator: Created by United Way of Calgary, this easy-to-use, online tool helps people identify government programs and benefits they may be eligible for, links them to information on eligibility criteria and application forms, and helps motivate people to tax file. Make Tax Time Pay: E4C’s volunteer program in Edmonton helps people on low and modest incomes to tax file and access government benefits. In 2014, 260 volunteers completed 4,200 income tax returns, enabling clients to access $1.6 million and connecting them to 750 government benefits and subsidies.